44 page catalogue for the 1989 exhibition of the same name which took place November 1989 – Jan 19, 1990 in London, England at Canada House, and then traavelled to six other U.K. locations. Curator: Bernard Riordon. ISBN: o-88871-123-9. 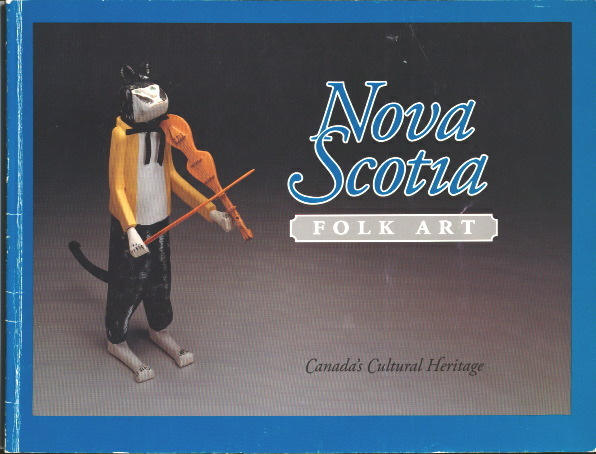 8 ½” x 11” Consists of 8 pages of forwards , a five page essay on Nova Scotia folk art by Bernard Riordon, 98 images, 9 being in colour, and four pages of biographical notes. Excellent condition with small colour loss on binding edge. Cover image by Don Manzer entitled The Cat and the Fiddle”.